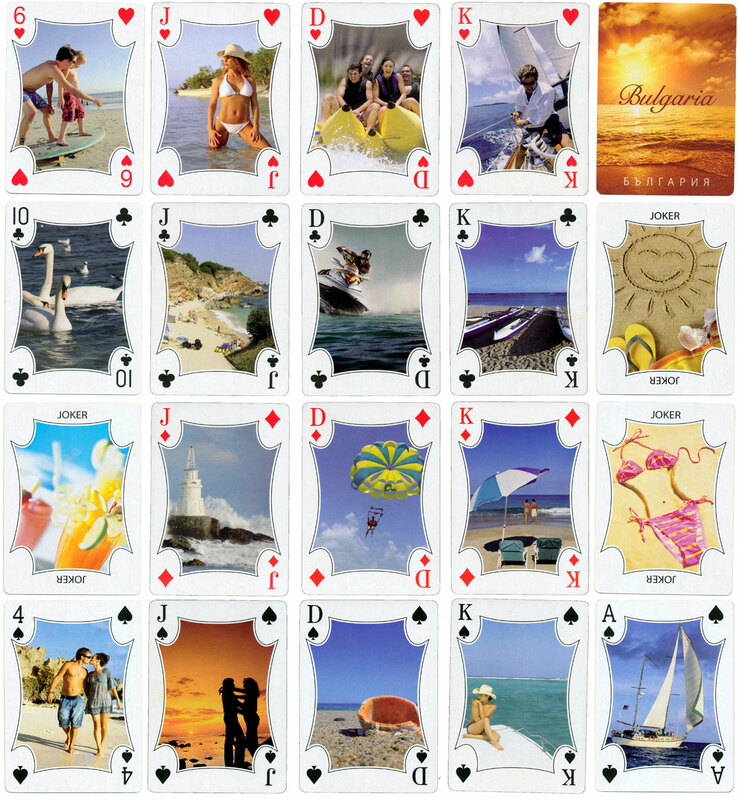 This stylish pack of Bulgarian souvenir playing cards, with a different colour photo on every card, was produced by “Land of Roses Ltd” for the English speaking tourist market c.2000-2010. The queens have ‘D’ as an index, whilst the jacks and kings have ‘J’ and ‘K’. We are not aware of any other cases of indices using J,D,K, A. Of added interest are the translation errors on the box which should have been proof read before printing. 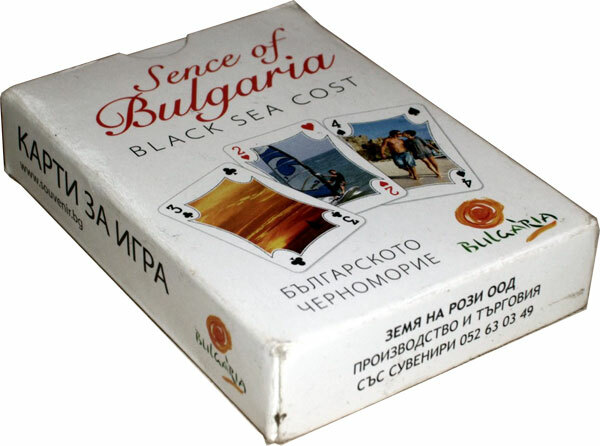 Above: Bulgarian souvenir playing cards produced by "Land of Roses Ltd" for the English speaking tourist market, probably around 2000-2010. Images courtesy Matt Probert.